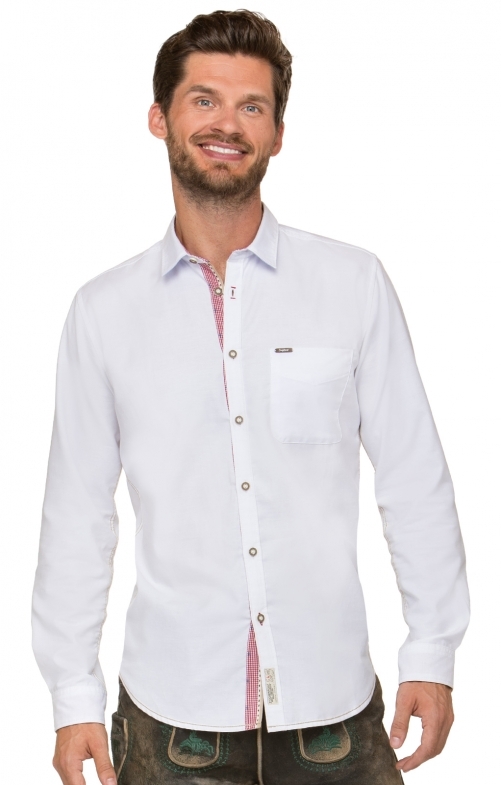 Traditional shirt Cohen "Modern fit" for men by Stockerpoint in white-red. The moderate, slim-cut model of the Bergfeuer collection made of pleasant cotton blend convinces with traditional details. The stylish contrast in the collar and in the cuff underline the modern, traditional look. A Kent collar as well as the rounded hem add a classic touch, while rustic horn buttons traditionally round off the overall picture. The breast pocket sets classic accents. Passt gut, Qualität muss ich noch testen.